Micromax recently added a new 4G smartphone in its list of 4G LTE mobile. Now, Micromax has India's widest 4G range of smartphone with over 25 4G model of smartphones. The Micromax Canvas Spark 4G smartphone will feature a 5-inch IPS display with Corning Gorilla Glass protection. We are still unaware of the screen resolution provided in the handset. But It sports a plastic front body with a metal back cover. The smartphone will run Android Marshmallow operating system. New Canvas Spark 4G is powered by 1.3GHz quad-core processor with 1GB of RAM. It comes with 8GB of internal storage. And for connectivity, as per the name suggests, the smartphone features 4G VoLTE support. If we move towards the photography, it features a 5-megapixel primary camera and a 2-megapixel rear camera which seem to be very basic but still may take good shots on an average. Snapdeal listing of the smartphone also shows that the Canvas Spark 4G will come bundled with Reliance Jio’s 4G Welcome offer. Under the offer, the Canvas Spark 4G users will get free access to all Reliance Jio services like 4GB of data every day as well as its range of content services that include live TV streaming, movies on demand and a music service. And the offer is currently valid till December 31. Micromax had announced that it will be soon launching four 4G budget smartphones which will under Rs. 5000. Micromax also partnered with Google to preload the latter’s video calling app, Duo, on all the four smartphones. 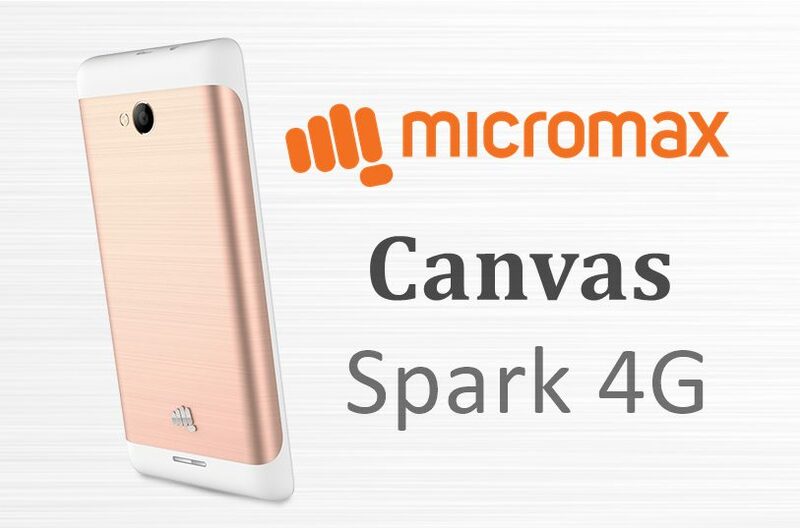 Snapdeal is selling Micromax Canvas Spark 4G at a budget price of Rs.4999 and sale begins on 10th of November at 12PM.